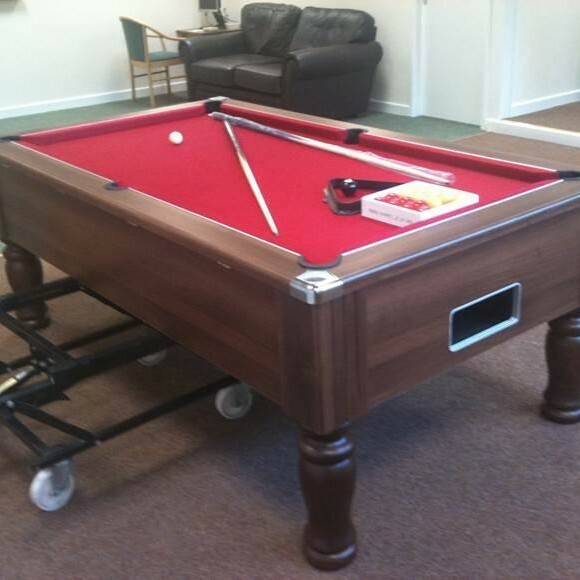 This was a Pool Table that was Recovered in a Drop In Centre in Reading, London. 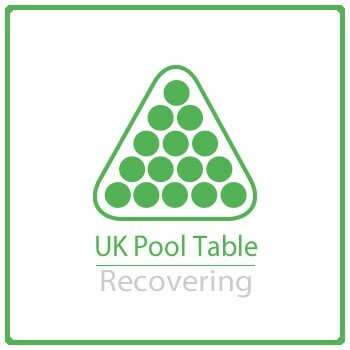 As a company we are now attempting to work on a National scale, and therefore due to recent demand in the area of London. 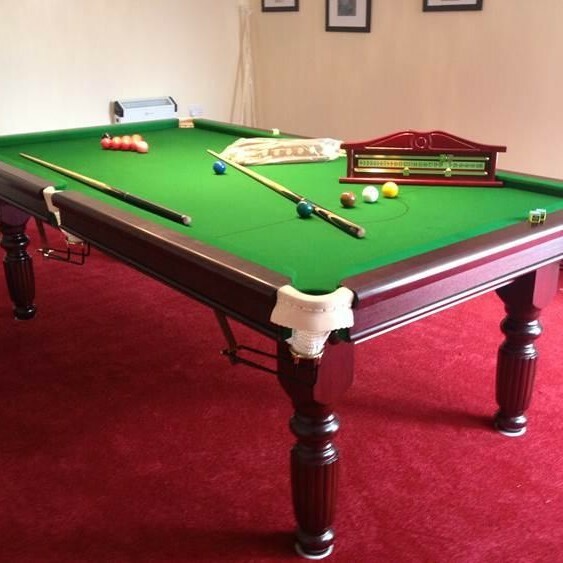 MelidenGolf Club, ordered the Pool Table off our website along with the New Pool Trolley, we then delivered and installed the Pool Table for them. 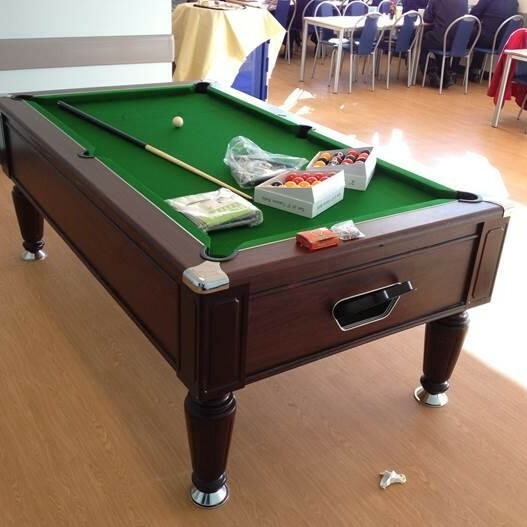 This is another Installation for Tesco. 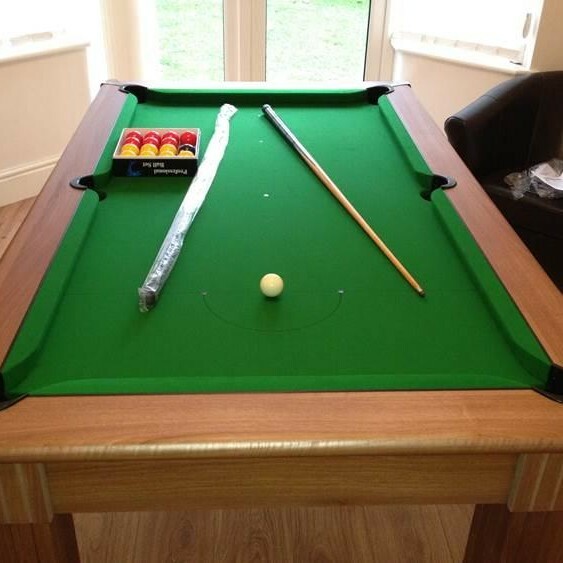 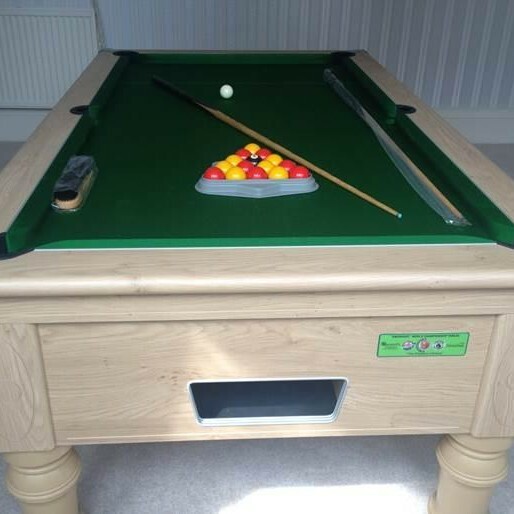 As Abergele were so pleased with their pool table they recommended us to their Holyhead branch who then went ahead and ordered this table from us. 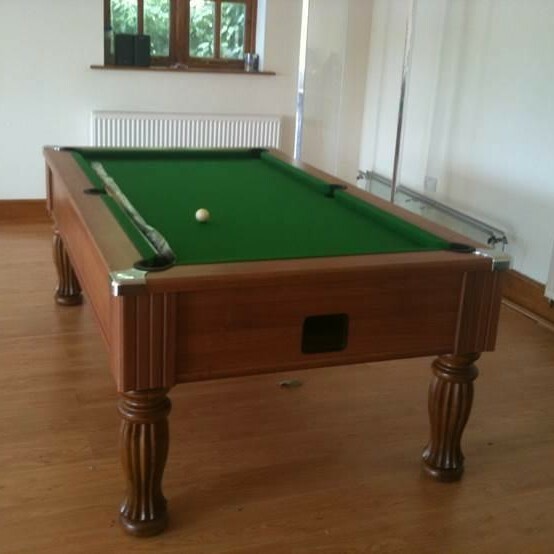 A Customer of ours wanted his Pool Table Recovered in a more unique colour. 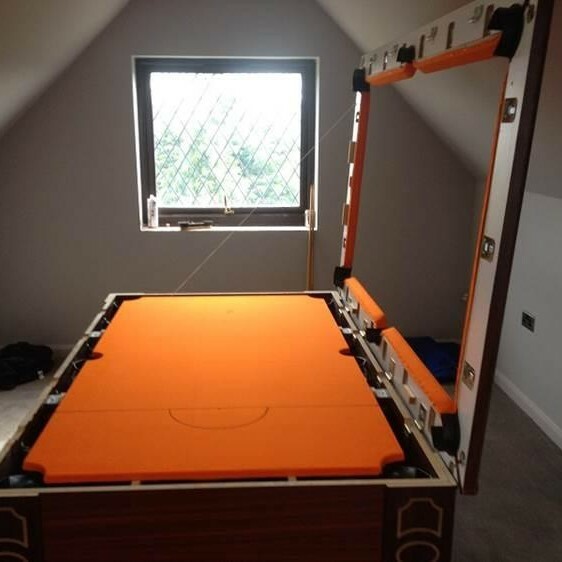 We showed him the Cloth Swatches and he chose to have his Recover in Hainsworth Smart – Orange Cloth.